The number of homeless families living in hotels and motels at state expense is down sharply in Massachusetts. Gov. 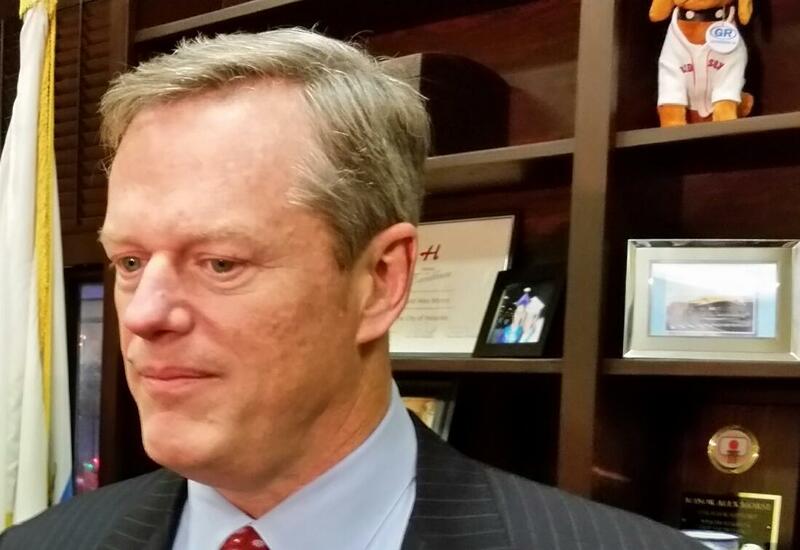 Charlie Baker is making good on a pledge to end the practice. When Baker took office on January 8, 2015 there were more than 1,500 homeless families living in motels or hotels. The number was down to 538 as of the beginning of this week. Lt. Gov. Karyn Polito said the Republican administration has focused on reducing the number to zero by the end of its first term. "Reversing that policy over a year ago made sense to us and I am pleased our administration has had success in that area," said Polito. Progress on reducing the number of homeless families put up in motels has been even more dramatic in western Massachusetts where the number has dropped from 457 in 2015 to 21 as of this week, according to Pamela Schwartz, director of the Western Massachusetts Network to End Homelessness.
" It is thrilling really," She said. " It really is a testimony to what can be done with state support and local implementation on a regional level." Schwartz credits a number of strategies including stepped up use of a program called HomeBASE that provides up to $8,000 to pay rent and other housing-related expenses.
" As a result of this focused effort, families are able to move out of motels and new families are not needing to move into them," said Schwartz. The HomeBASE program is administered in Hampden County by HAPHousing. Lauren Voyer, Senior Vice President for Housing Support Services at HAPHousing, said housing specialists work with families to come up with suitable living arrangements. "During their 12 months of stabilization, a case manager meets with ( the families) at least monthly, assisting them to keep up to date on their housing applications and assisting them to either gain employment or to support them in employment," explained Voyer. Massachusetts, which is the country’s only right-to-shelter state, has historically used motels and hotels to house homeless families temporarily when emergency shelters were full. During the economic downturn in the last decade, thousands of families wound up in motels at an average cost of $90 per day, with an average stay of six months. The sheltering of families in motels, often far away from friends, family and familiar schools, was widely denounced and former Democratic Gov. Deval Patrick vowed to end the practice, but was unable to by the time he left office. Advocates question if the current success can be sustained in light of rising housing costs in the state. Voyer is optimistic.
" The services we provide will ideally help families hold on to their housing," she said. " The recidivism rate over the last couple of years has been only 5-10 percent. It is certainly more difficult in the eastern part of the state where rents are so high." Schwartz points to the success of a pioneering program in western Massachusetts called Secure Jobs Connect that helps the homeless find employment that pays enough to afford housing. "We have seen tremendous success with that in Hampden County. This year alone, over 100 homeless families were placed in employment and over 300 families in the last three years," said Schwartz. The job training program for the homeless was partially funded over the last three years by a grant from a private foundation. Advocates are asking for $2 million in the state budget to continue the program now that the grant money has run out. A coalition of organizations that provide services to the homeless in Massachusetts is asking the state legislature to increase funding for emergency shelters. Advocates also point to a funding disparity that they say shortchanges homeless shelters in western Massachusetts. Friends of the Homeless in Springfield, the largest shelter facility for individuals outside Boston, sees over 1,000 men and women come through its doors each year, or about 150 per night, looking for a meal and a bed to sleep in. Progress is being made in reducing the number of homeless families and individuals living in emergency shelters, motels and on the streets in western Massachusetts, according to a report issued today. The report from the Western Massachusetts Network to End Homelessness highlighted a 34 percent drop in overall family homelessness – including a sharp reduction in the number of families living in motels from 284 to 49 – and a 27 percent decline in homeless veterans over the last year.